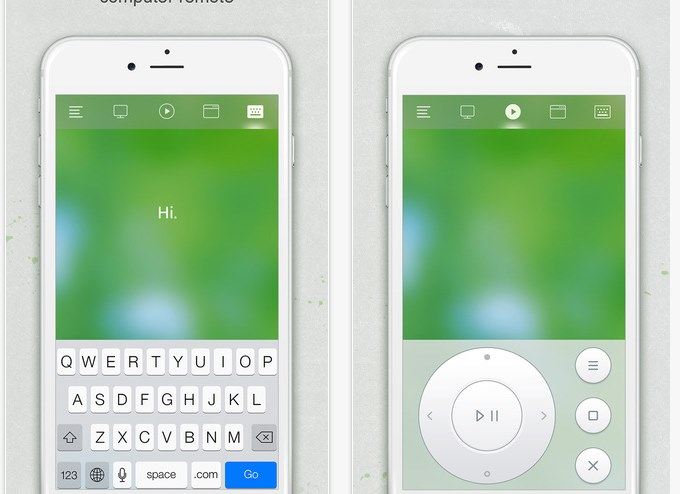 BigKeys is a standard push-button keyboard but with bigger keys. The keys are 1″ square and are very clearly marked with text that is printed 11 times larger than that found on a regular keyboard. This obviously makes this a popular keyboard for those with a visual impairment. 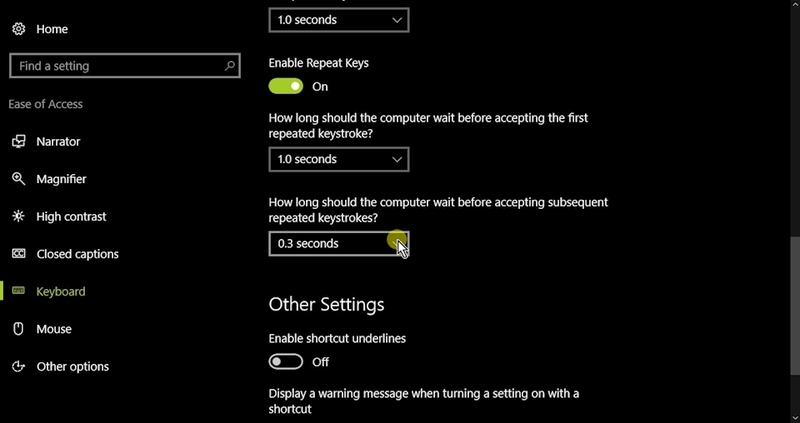 As it’s a based around the design of a standard keyboard, the BigKeys plugs straight into the back of your computer and no special software or drivers are required to run it. There are two models of BigKeys available: the BigKeys Plus and the BigKeys LX. 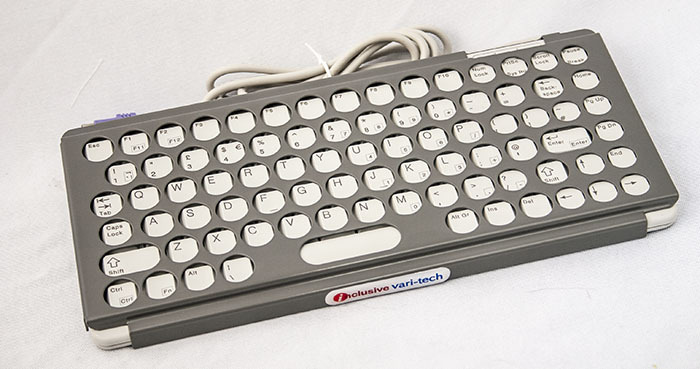 This model has only 48 keys (compared to over a hundred on a standard keyboard) which is intended to make the keyboard much simpler for early users. The LX version is better for most users as it has additional punctuation and another shift key. When you order your BigKeys, you can choose a QWERTY or ABC layout, upper or lower case, and black-on-white keys, multicolour keys, or white-on-black. One very useful feature of the BigKeys is that the keys can be rearranged between QWERTY and ABC after you have bought it. There is a switch on the side to accommodate the change, but since switching the keys around does take a little while it would be impractical to do it ‘on the fly’. There is also an Arabic version of the BigKeys which was designed by Mada – Qatar Assistive Technology Center. On both models, the arrow keys are positioned well away from the rest of keyboard, which is ideal for software which uses these. For Windows 2000 and XP users, the arrow keys can be used to control the pointer on the screen by turning on MouseKeys and adjusting a value in your registry. Further information on using the arrow keys in this way can be found in this special article. Guards are available for these keyboards that are suitable for users with motor skills difficulties or upper limb disorders. Gloves are also available to protect the keyboards from fluids. The only real problem with these keyboards is that, because a lot of the keys are missing, you really need a full standard keyboard on standby. Luckily, it’s possible to plug two keyboards into to your computer at the same time, using a Y-Key-Key Keyboard Splitter. The ‘BigKeys Early Learning System’ allows early learners to pick up keyboard familiarity without having to use dedicated software. Take a look at this webpage to find out more about this intuitive solution. Keytools are the official supplier for BigKeys and they run a special website just for this keyboard at www.bigkeys.co.uk . I am quite interested in bigkeys lx. I am wondering what the return policy is on it. I am searching for a friend who has Huntington ‘s disease. She has been asked by her doctor to type up her frustrations, print them and then rip them up. I also feel this is a great way for her to keep in touch with family and friends via email and possibly facebook. Thanks for your time.